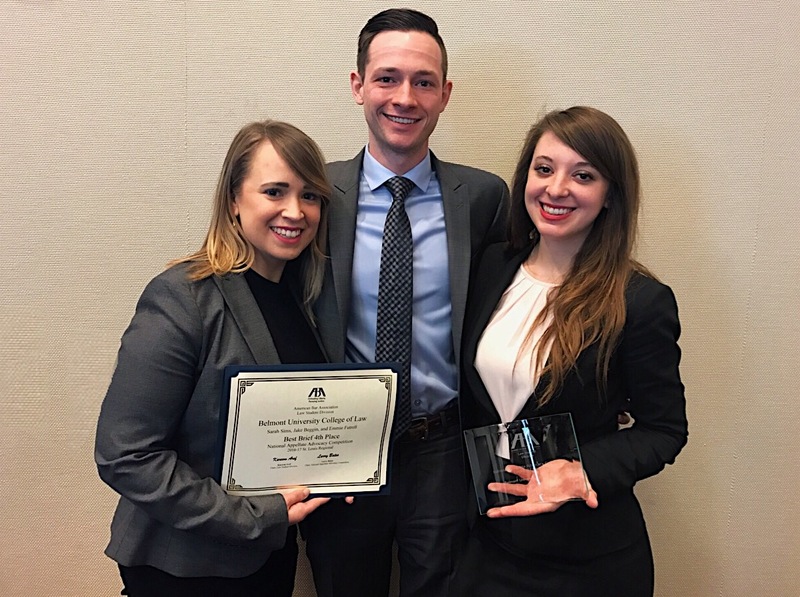 The Belmont College of Law National Appellate Advocacy Competition Team recently competed in the national rounds in Chicago where they ranked No. 12 in the nation and made it to the octofinal rounds. Made up of students Jake Beggin, Emmie Futrell and Sarah Sims, the team ultimately ended up beating or outranking many schools including regional champions Chicago-Kent, Faulkner, Georgetown, Gonzaga, Mississippi College, Oklahoma City, Pacific McGeorge, Rutgers, Texas Tech, Vanderbilt and William & Mary.